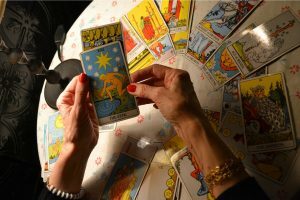 Your Tarot Reader Maybe a Scam Artist. Below are Warning Signs - Best Phone Psychics Readings Reviews of 2017. Find Real Phone Psychics! Seeking for information. The readers are not doing a reading if they keep asking you questions. You are the one who should ask questions not them. They keep bothering you. A reader should not disturb you through phone calls. They shouldn’t try to lure you into giving you a reading. You should do a reading when you feel like; therefore any of these tactics are red flags that you might be dealing with a fake tarot reader. Questionable marketing methods. Some time ago I had a client who received scary emails from a reader who said they had special information for them and they have to call urgently lest they lose an important opportunity. Definitely, this was just a way of getting clients to call so that they can spend money they didn’t have online. Getting a special offer is one thing and getting a scary email is another. If you happen to get any of these you need to hit block or delete. The “curse” line. Stop the reading when you realize a reader has started informing you about a curse or negative energy that somebody has “put on you”, this is because nobody is capable of cursing you. Your problems are as a result of the choices you make in life. And you are the one capable of changing course. If you believe otherwise then it means you are putting your personal power in the hand of others and your personal responsibility is being taken away from you. Charging you a large amount of money for a “healing” or “cleansing”. Nobody should charge you a large amount of money in order to remove a curse or solve problems. If you have a serious problem then an honest reader should refer you to a good professional who will be able to help you. Telling you to be secretive. If a reader advises you that you shouldn’t share the contents of your reading with others that’s wrong. 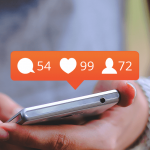 You should be able to share your readings with others as well as even tapping your readings. This is a tarot reading and not any other reading.